'Dehradun' & all over India. graduate; apart from rapping he also hosts shows & events. He raps in Hindi the native language of India and expresses the feelings of every individual in his music. SIZ raps in a vibrant flow explaining various love feelings, gangster life, social issues & various topics of modern world. His music is peppy & newest to the generation of 21st century. DESI GANGSTER was the first mix tape of siz which was released in 2010. His tracks TUTA DIL, JUGNI, 123 OFFICIAL HINDI RAP were highly appreciated by Indian rap listeners. 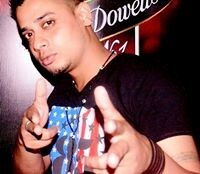 In 2012 he came out with his debut mix tape TRIOLOGY-THE HINDI RAP SAGA. This mix tape was one of the best Hindi rap mix tape which was online released by DESIHIPHOP.COM www.desihiphop.com/rapper-siz-triology. His tracks BHOOTNI KE became one of the most controversial songs in India as he dissed many Indian celebrities in this tracks. Rapper SIZ’s other tracks like KAISE MAI BATAU PYAR HAI, TU HI DIL MAI, RAFTAAR were the best Hindi rap tracks & are evergreen rap songs. He also made the first SANSKRIT RAP of MAHA MRITYUNJAYA MANTRA that was highly enchanting track, which was appreciated worldwide. 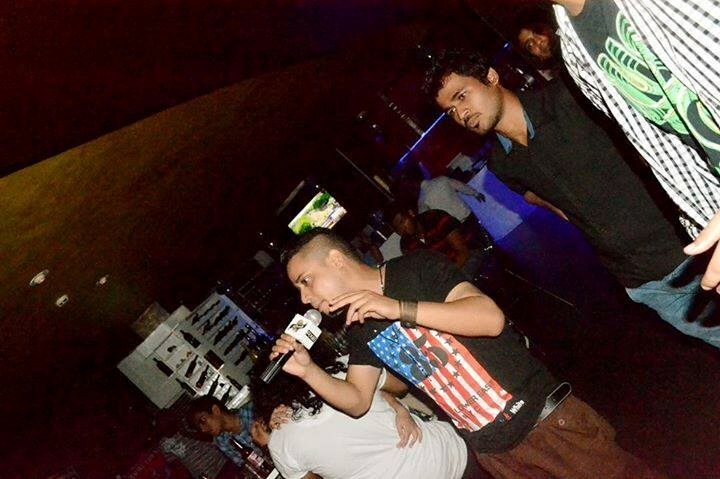 In 2011 SIZ was selected from all India talent hunt by MTV and was selected for MTV PEPSI CHANGE THE GAME. He was the winner of MTV PEPSI CHANGE THE GAME and was officially witness to perform live at WORLD CUP 2011. Shivank aka SIZ did the electronic & print advt for Pepsi during WORLD CUP 2011 campaign. He also made the first INDIAN CRICKET RAP for WORLD CUP 2011 named JEET KI HAI PYAAS, this track was promoted by PEPSI during world cup 2011 & it became the mantra when Indian won the world cup 2011. He was back on MTV in 2012 in reality show of MTV called MTV ROAD TO LOVE which was mixture of famous MTV shows ROADIES & SPLITSVILLA. In the show SIZ performed various tasks and acted on famous spoof of bollywood movies like DEVDAS & DEV-D, his movie spoof was named BEVDAS. This movie spoof was a hit and SIZ became the 1ST Runner up of the show. In the show SIZ also proved his rapping talent and performed enthusiastically in the show. His tracks from his debut mix tape TRIOLOGY also got featured in MTV ROAD TO LOVE. Rapper SIZ tracks KAISE MAI BATAU PYAR HAI, RAFTAAR, TU HI DIL MAI & BHOOTNI KE got featured in this show. • He has performed live for DAINIK JAGRAN, HINDUSTAN TIMES, PEPSI, OPEL CLUB, BHARAT STUDENT.COM, HERO HONDA, YAMAHA, UTTARAKHAND PETROLEUM UNIVERSITY DEHRADUN & various other brands. • He has also hosted many shows, events, road shows, fashion shows & talent hunts. • SIZ has performed live for various college fests and live events.